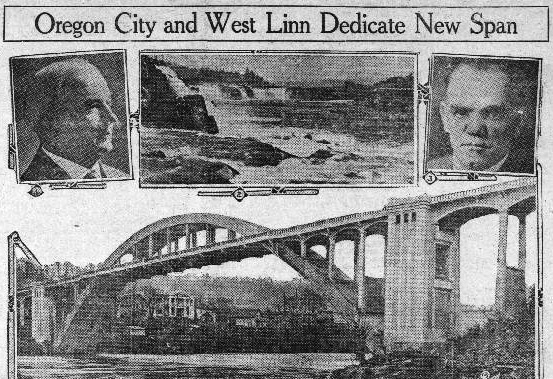 The latest additions to the Historic Oregon Newspapers website come once again from Oregon City, but there is more to this story than just an announcement of new content! 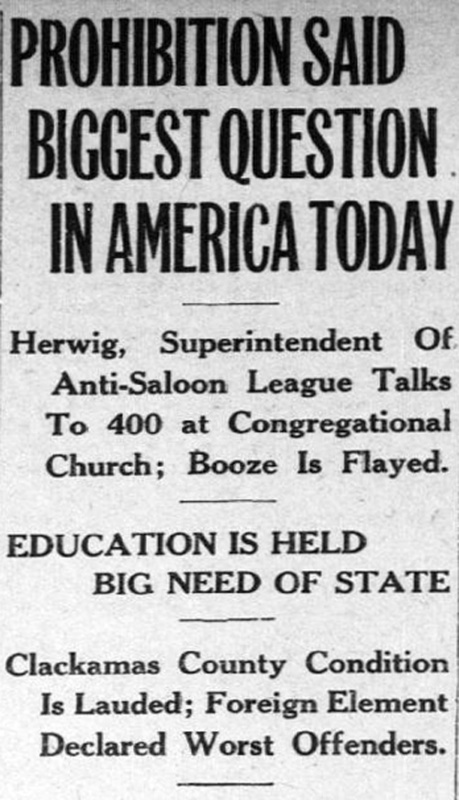 As you browse through Historic Oregon Newspapers online, you might wonder why some newspaper pages look cleaner or more readable than others. Almost all of the images you see were scanned from microfilm negatives to create the best possible digital image. However, the condition of print papers at the time of filming, as well as the way in which the papers were filmed, underlies the readability of the digital images that we use today. For example, papers that were originally filmed as bound volumes have a center binding that often creates a gutter shadow and/or page curvature, which can obstruct some of the text on each page. Papers with any kind of obstructed text are often difficult to read on microfilm, and thus difficult to read in digital form, not to mention difficult for computer software to “read” when performing the optical character recognition (OCR) that allows us to find information in the papers through keyword searching. 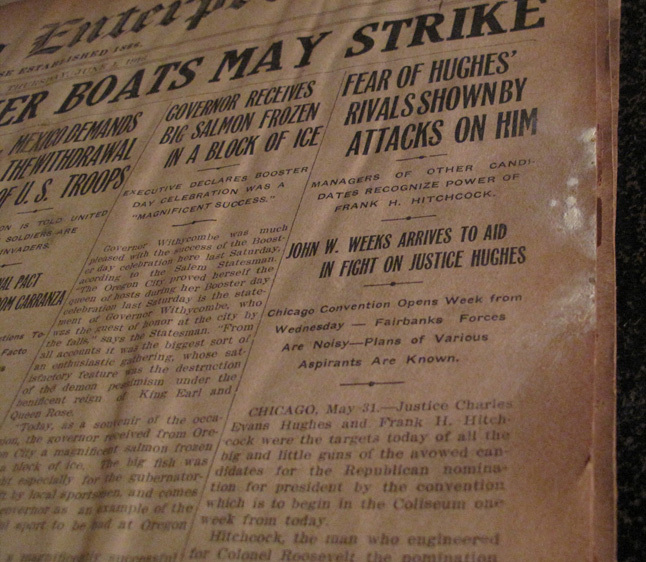 A bound print newspaper from the early 1900s reveals wrinkles on the page from water damage, as well as a mysterious substance that could possibly be mold. Newspapers tend to become brittle and damaged over time, so it’s rare to find many historic print copies that are still in good condition. 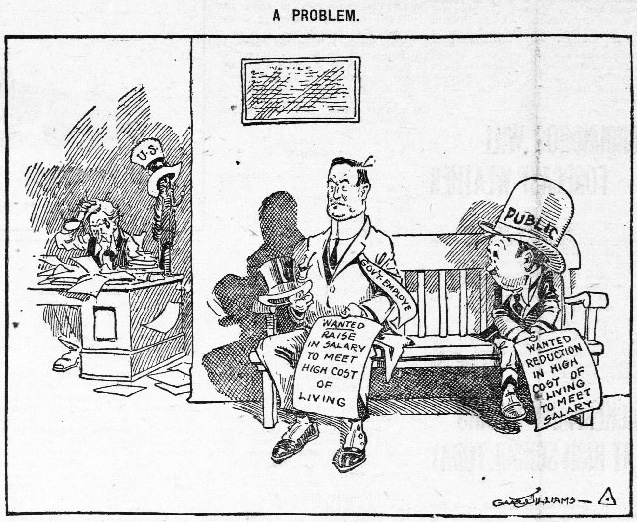 In many cases, the original microfilm for these newspapers is all we have left to work with. However, if we can locate good quality print copies of a title that was originally filmed in poor condition, we can re-film the paper to create a better, more readable, and thus more usable image. Through our partnership with the Oregon City Public Library, with funding from the Library Services and Technology Act, we were able to re-film portions of the Banner-Courier, the Morning Enterprise, and the Oregon City Enterprise. Many thanks to the Milwaukie Historical Society’s Milwaukie Museum, where these bound volumes of old Oregon City newspapers were kept intact! 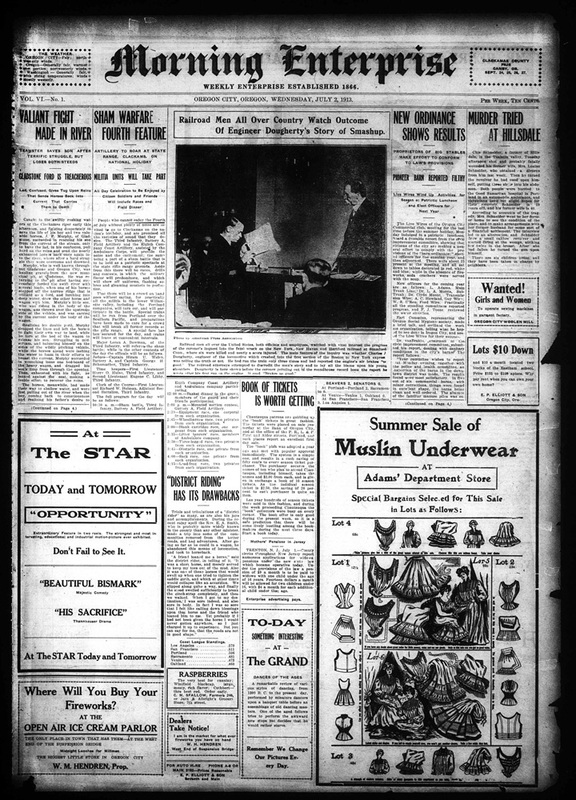 Filmed bound: Morning Enterprise, July 2, 1913, page 1. Note the gutter shadow that obstructs text along the left edge of the page, not to mention the page curve that obstructs text on the preceding page. 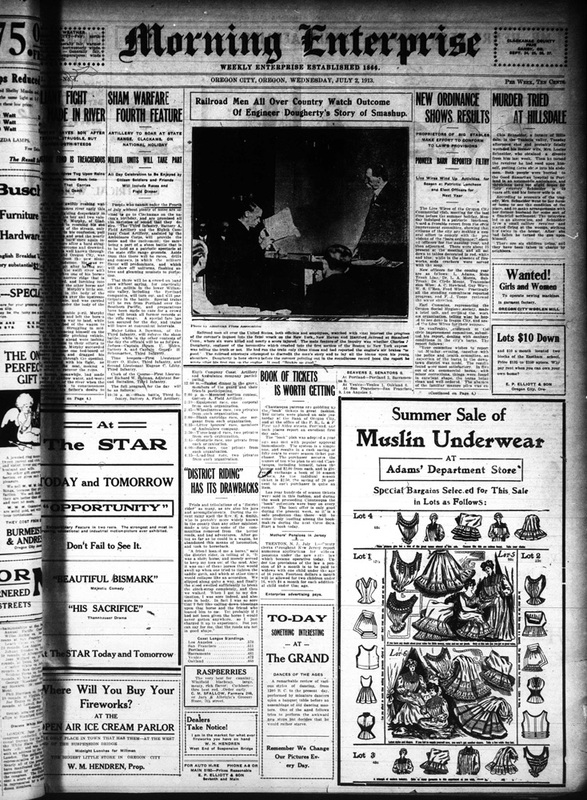 Filmed flat: Morning Enterprise, July 2, 1913, page 1. No text is obstructed. The combination of printed page, microfilming, and digitization has not only helped to preserve the history of Oregon City, but also to provide access to these newspapers to anyone in the world with an internet connection. We hope you enjoy the final product as much as we do! An initial browse through this newly added content has yielded the following clippings, but there are many more articles, images, and advertisements of interest just waiting to be discovered by you! ‹ More Oregon City content now available!